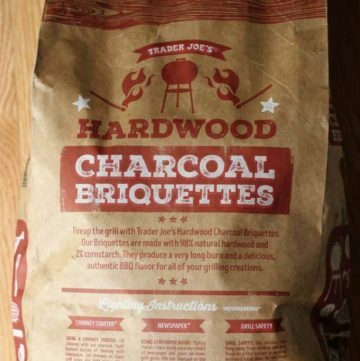 The pros: Trader Joe’s Hardwood Charcoal Briquettes will give you a smoky flavor that a gas, propane or briquette can’t give you. These are briquettes and of equal size. They do burn for a long time. The cons: Only comes in one size. Will take more skill to light than easy light varieties. These took longer to light and get them ready for cooking.